Have you ever tried going through the commercial bottled tea at a grocery store or convenience store? The amount of sugar on display is pretty depressing. But there’s an easy and much cheaper answer: make your own. Peach tea made from just peaches and tea, what a concept! This recipe does take a little longer than grabbing a bottle off a shelf, but in return you get to customize the flavor. If you want to add more peaches, or less fruit juice to make it a little less sweet, you can tweak everything exactly to your taste. This would be a refreshing way to cool down after a long workout, or a tasty drink to savor at the end of a long day. 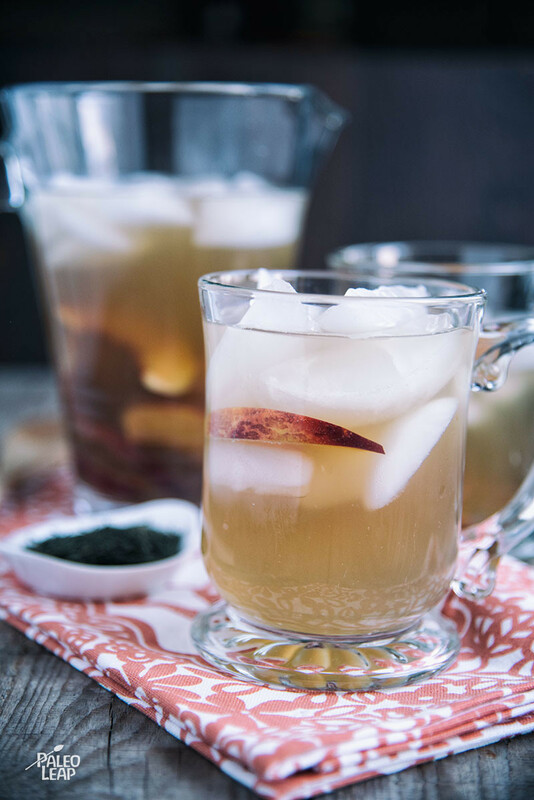 Serve it for afternoon tea with some Paleo goodies, or just make a batch and then keeping it in the fridge for the times when a craving for something sweet hits. Place 1 cup of water, the sliced peaches, and the apple juice in a saucepan and bring to a boil. Reduce the heat to medium-low and let simmer for 15 to 20 minutes, stirring once in a while. As you stir, crush the peach slices against the sides of the pan to help release the flavors. Strain the peach syrup through a fine mesh sieve to remove any unwanted bits. depending on the variety of the tea. 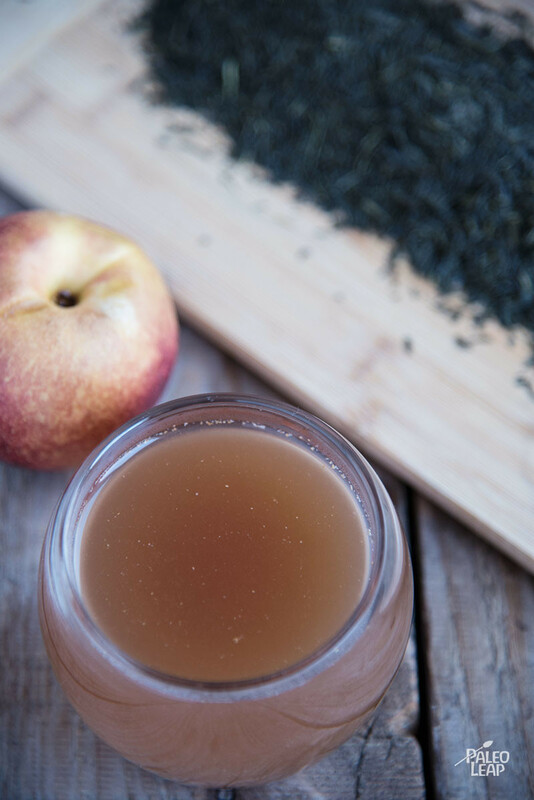 Pour the peach syrup into the green tea, give a good stir, and refrigerate until cool. 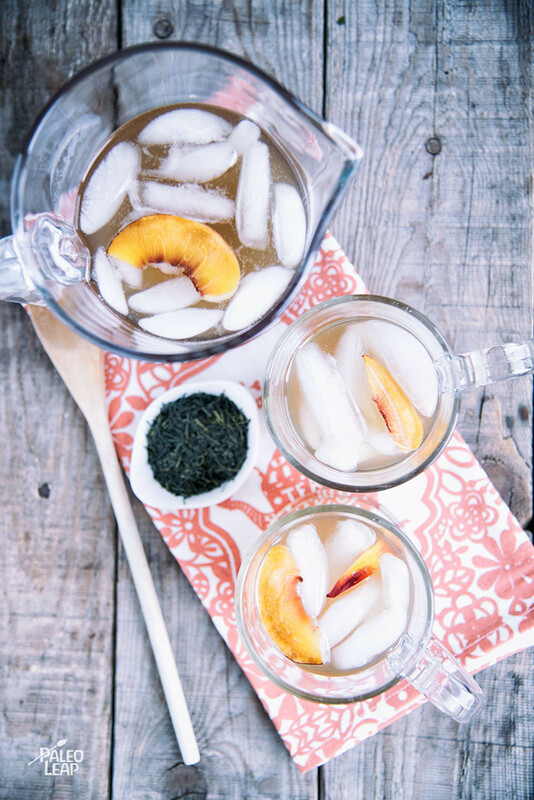 Serve in a cup filled with ice and garnished with fresh peach slices.